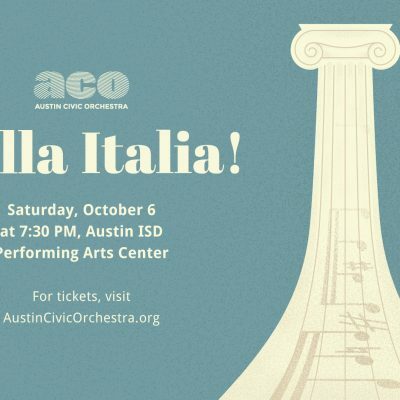 The Austin Civic Orchestra opens its season, Destination: Europe, with Ottorino Respighi’s masterwork The Pines of Rome. 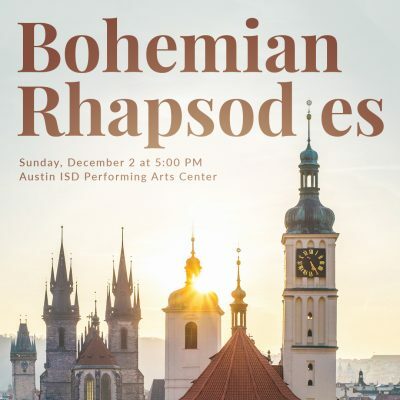 Experience Bohemian Rhapsodies at the Austin Civic Orchestra’s concert featuring Antonin Dvorak’s masterwork Symphony No. 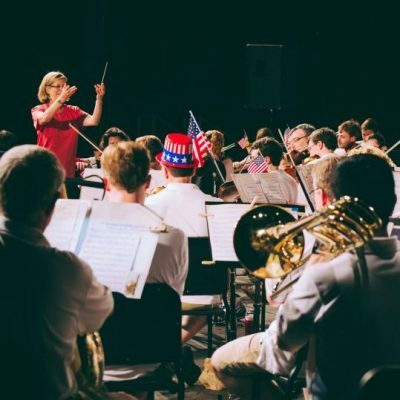 8 and more. 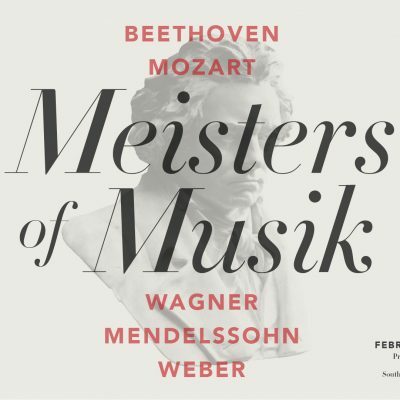 This concert features pieces by Wolfgang Amadeus Mozart, Carl Maria von Weber, Richard Wagner, Felix Mendelssohn and Ludwig von Beethoven. 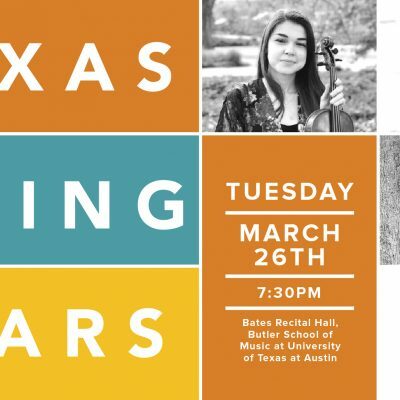 Come hear the winners of the Butler School of Music’s String Concerto Competition perform concerti accompanied by the orchestra.